How to install grafana on Kubernetes google cloud. Grafana is an open source visualization tool, Grafana allows you to query, visualize, alert on and understand your metrics no matter where they are stored. Create, explore, and share dashboards with your team. Here we will deploy grafana on Kubernetes google cloud platform using helm. 1. Make sure you have created kubernetes cluster ready. 2. Connect kubernetes cluster using gcloud. 3. 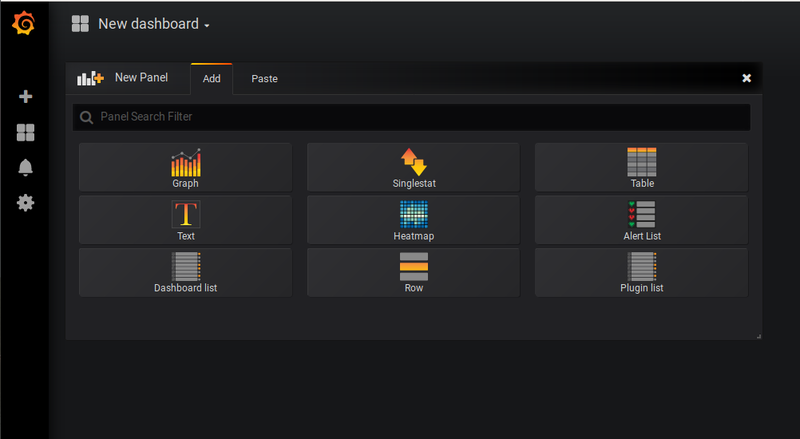 Make sure you have install and configure helm, you can install it by clicking here. 4. Create kubernetes cluster role for helm. Grafana Installation on kubernetes using helm. 1. Search the stable grafana package from helm chart. 2. Download stable grafana package from helm chart. you can notice that grafana folder will be there in your server directory. go to the directory and check the files. Helm will use values.yaml to install and configure grafana to kubernetes, So you can customise that file setting as per your requirement, be default grafana installed without persistent storage and if you terminate pod then you may able to loss your data, So it will good to attached volume to pod. here are the lines you need to add to attached storage to your grafana deployment. open values.yaml and add below line. 3. Install grafana using helm and run values.yaml. It will fetch values.yaml context to install grafana. Now you can see on kubernetes dashboard or from command to check your pods. You can use external ip to access your grafana dashboard,you can access it from user name admin and you can get password from below command. Use that password to login grafana dashboard. after login please change the password of admin user. You can add elastic search, cloudwatch, Graphite, Mysql, Prometheus, Stack driver and many more monitoring tools to their Data source and monitor metrics. If you trouble to configure email alerting from grafana, i will explain it how to configure email alerting in grafana. How to configure smtp email alert Grafana. Open your grafana.ini file and add following lines to enable smtp email alert. here i have used my gmail to configure email alert notification. password = sksdffdgxnqgufopj #your gmail password. If you have any issue about authentication or related password, then you have to follow this article for creating Application-specific password. In the next article i will explain about how to install Prometheus to kubernetes google cloud and how to monitor metrics from Prometheus to visualise by grafana.